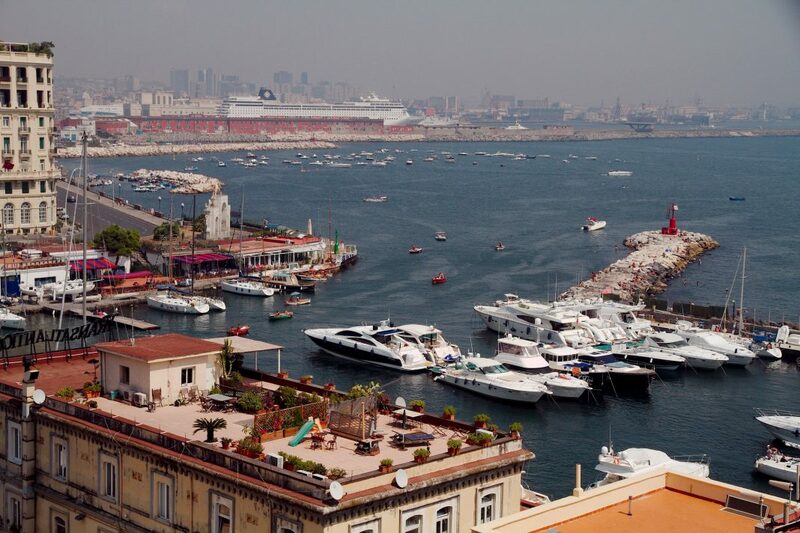 A view of the Napoli port, Italy. The Commission adopted five major Cohesion Policy projects, altogether worth 868 million euros, for better transport and water infrastructure and to preserve cultural heritage in the Italian city of Napoli. This investment package will allow the finalisation of works started in the previous 2007-2013 budget period. These five projects will be completed between 2020 and 2022, for the benefit of the inhabitants of Napoli. “Napoli is truly a European jewel and I’m glad that EU funds can help highlight its beauty, stimulate its economy and improve quality of life for its inhabitants. These five projects are as many examples of the long lasting friendship between the EU, Italy and the Italian people,” said Commissioner for Regional Policy Corina Crețu. EU-funded works will contribute to the cultural and social rebirth of this UNESCO heritage site, benefitting the 85,000 people living in the city centre. Following a comprehensive urban development plan, EU funding will be used to improve public spaces, sidewalks as well as roads and pedestrian and bicycle paths. Around the Duomo di Napoli church, wifi zones will be established, as well as bicycle paths and modern video surveillance systems. The project also aims to protect and boost local small businesses specialised in traditional crafts such as music instruments manufacturing or papermaking, and to allow new businesses to settle in line with UNESCO guidelines. A key economic pole for the region of Campania, and for Italy as a whole, the port of Napoli will benefit from 111 million euros of Cohesion Policy funds to extend its sewage network, upgrade its existing rail and road access, have its seabed cleaned, extend its dam and install brand new solar panels. By improving access to and from the port, EU-funded works will allow more goods to be transported to and from ships by rail, which will reduce air pollution in the area. The works will also help protect the environment in this major activity hub and improve the port’s energy efficiency. The funding will be used to buy 10 new vehicles for this metro line. Already 430 million euros of Cohesion Policy funds was invested in the previous budget periods for the completion of a stretch of this metro line, which will form a ring linking the city’s strategic areas, such as Town Hall Square and Piazza Garibaldi central station, and reaching all the way to the Capodichino airport. Over 134 million euros of EU funds will help refurbish five existing waste water treatment plans in Napoli’s metropolitan areas, in the communes of Acerra, Marcianise, Napoli North, Foce Regi Lagni and Cuma. The project will increase the quality of the water basin of the Regi Lagni canal system, of the Phlegrean coastal waters as well as in the islands of Procida and Ischia. Over 2.3 million people are set to benefit from better water service and from a cleaner environment as a result of this project. Then, over 53 million euros will extend and upgrade sewage and waste water networks in seven towns in the province of Caserta, 40 km north from Napoli. Water quality will be continuously assessed thanks to a new monitoring system. EU-funded works will prevent the release of waste water into the sea on the Domitio coastline, thereby restoring its former beauty and tourism potential. Italy is the second recipient of the European Structural Investment Funds, including Cohesion Policy funds, with 44.7 billion euros earmarked for 2014-2020. The country is also the second beneficiary of the Investment Plan for Europe – the Juncker Plan – in absolute terms, with already over 50 billion mobilised in additional investment and over 215,000 small and medium businesses set to benefit from improved access to finance. The Commission has been continuously standing by Italy’s sides throughout difficult times. An additional 1.6 billion euros of Cohesion Policy funds was given to the country in 2017 to tackle the persistent effects of the financial and economic crisis. Italy also received an unprecedented 1.2 billion euros from the EU Solidarity Fund following the tragic earthquakes of 2016 and 2017. In addition, Italy has been the main beneficiary of flexibility under the Stability and Growth Pact, benefiting by an amount in the order of 30 billion euros (or 1.8% of GDP) between 2015 and 2018. This flexibility has supported the implementation of structural reforms and investment, and assisted Italy in responding to exceptional events such as security threats, the refugee crisis and earthquakes. For the next long-term EU budget, the Commission is proposing 43.5 billion euros for Italy in Cohesion Policy funds, an envelope increased by 8.5 billion euros in current prices, in the context of an overall reduction of the Cohesion budget, in order to support a lasting economic recovery in the country. Since the beginning of the mandate of the Juncker Commission, almost 12 million jobs have been created in the last four years, including 1 million in Italy.